The RAP-B-400U Small Tough-Claw with 1" Rubber Ball is a mounting base that easily clamps onto any shaped rails between 0.625" - 1.5" and has a 1" rubber ball to connect your compatible socket arm. 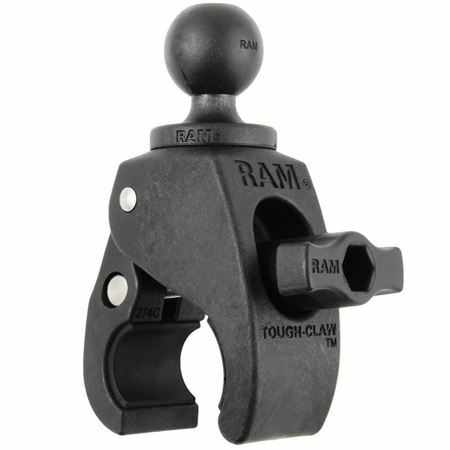 The RAM RAP-B-400U RAM Small Tough-Claw with B Size 1" Diameter Rubber Ball from the RAM Mount Bases range is the ideal base for smooth and simple tool-free removal and installation on circular, square, and other oddly-shaped bars and rails. The Tough-Claw is compatible with rails from 0.625” to 1.5” in diameter. It is the perfect tool to mount smartphones, action cameras, rod holders, and tablets, and is ideal for many other applications. 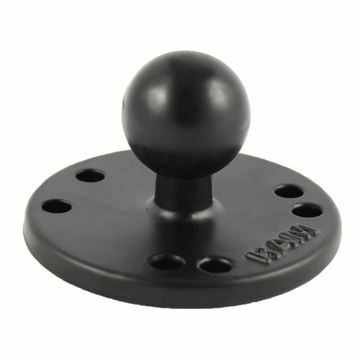 The RAM-B-202U 2.5" Base with AMPs Hole Pattern & 1" Ball features a small 1" rubber ball attached to a flat 2.5" diameter round base with AMPS hole pattern.